Provides a way through the logjam created by copyright laws. Innovation invariably comes from how ideas are shared and blended. Yet traditional copyright laws still restrict that kind of sharing because they prevent people from accessing, altering and distributing material online. 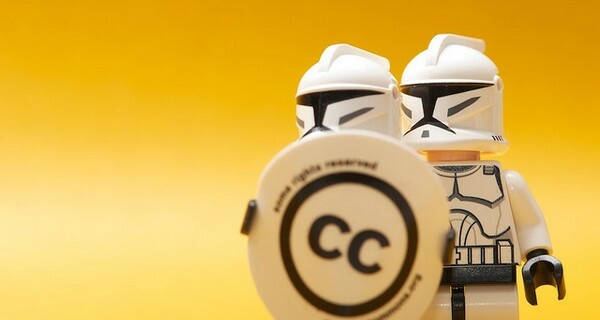 Creative Commons, created in 2001, was set up to provide a way through the logjam created by restrictive copyright laws: a simple-to-use licensing framework, supported by a technology platform, which allows people to assert their authorship of the material, yet share it securely online and gain attribution from those who use it. Creative Commons provides one of six licensing options of different strengths, which vary the extent to which consumers can alter and redistribute the content. One allows material to be donated to the public domain in perpetuity. From ProPublica, a Pulitzer Prize-winning news organisation using Creative Commons when working with the world’s largest media companies, to the SoundCloud network of musicians and artists sharing and remaking music, to the acceleration of the Open Educational Resources (OER) movement including MIT’s OpenCourseWare; the Creative Commons framework met a vast latent demand for alternative copyright frameworks worldwide, to allow digital content to be shared more freely, with more than 400 million works using one of the six Creative Commons licences. Since its creation in 2001, Creative Commons has underpinned a vast flowering of open content, particularly in the domain of social change. Many others inspiring innovations – Mozilla Firefox, Code for America, Global Village Construction Set, the global Open Government movement – have used its legal structures to manage their open development processes. Creative Commons is a prime example of how social and legal innovation is vital to allow people to exploit the full potential of digital technologies, to both create and share ideas and knowledge.